Buy Once in a While in Philadelphia on Amazon. 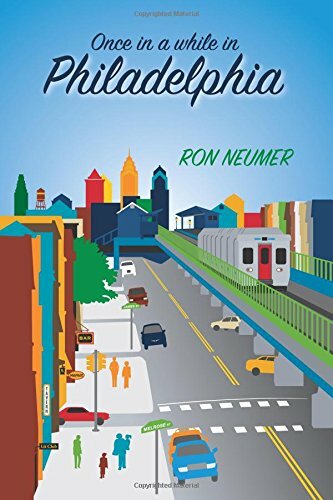 Ron Neumer is a former Philadelphia Press Association award winning news reporter and columnist who covered in addition to news items, human interest stories within Northeast Philadelphia. His interest in reading and writing began as a kid growing up who read comic books and sports’ magazines. Ron bought his comic books and baseball magazines at a neighborhood ice cream and soda shop with money he earned delivering newspapers on his row-housed street. His book Once in a While in Philadelphia, is rich in Philadelphia flavors that came from personal observations and experiences. Ron said, “Some of the things in my book you can’t make up. There are neighborhoods that just give you the stories and this is one of them.” One of the stories is about Tiger Stukowski. On a sweltering summer day years ago, Tiger tried to catch a falling air conditioner from a second story window. Ron fulfilled his military obligation at Ft. Jackson, South Carolina. While there he met fellow soldier, Rico James Paradise, from Brooklyn New York. Ron borrowed Rico’s name for the main character in one of his stories about having love in your life and the price you pay for losing it. Ron grew up on Melrose Street across the street from the Lit Club in the Frankford section of Philadelphia. 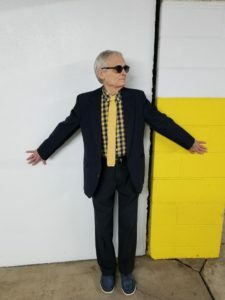 On summer days, down the street on the steps of the church on the corner at Margaret Street, he learned to play chess with his friend Tommy Gross. It’s a city thing and Ron did it also hanging out with other guys from the neighborhood outside a corner grocery store a block down from the church. He is still friends with some of those guys. Ron lives in the Philadelphia suburbs with his wife, Ginny, and continues writing a screen play. He hopes to see one of his short stories come to life on stage. “That would be great,” he said. Ron’s Web Site is: www.ronneumerauthor.com You can follow him on Facebook and twitter Contact Ron at rneumer54@comcast.net.